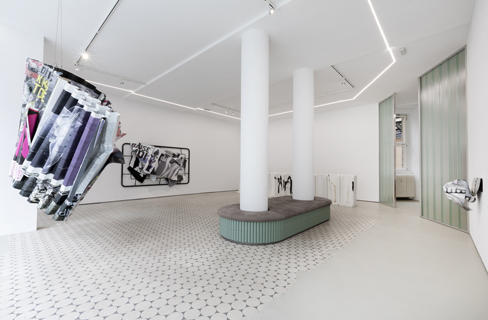 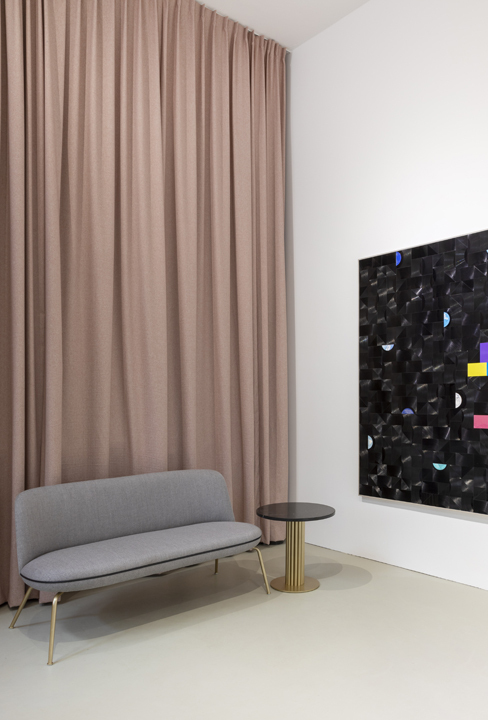 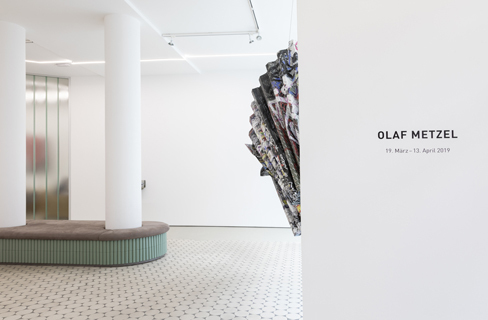 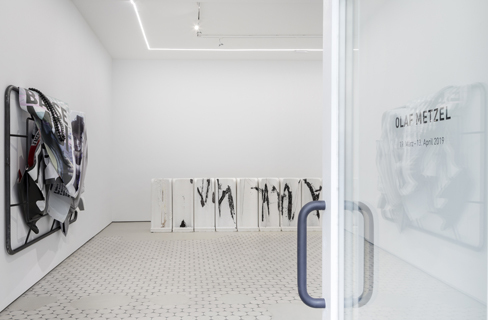 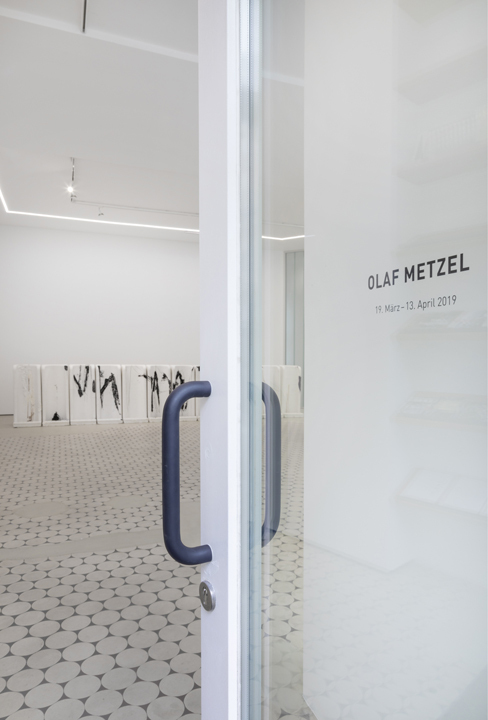 Tina and Jan Wentrup, of Berlin Wentrup Gallery commissioned Sebastian Herkner to design their new gallery space in the neighborhood Charlottenburg in Berlin. 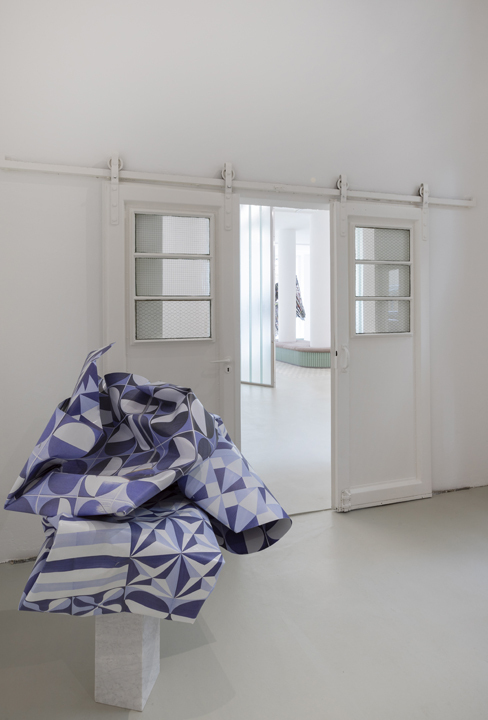 In a former post office he created an open and elegant atmosphere for art. 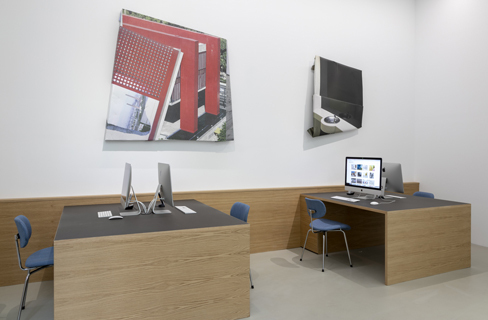 The huge showroom in the main room, next to an office space and a more cozy art salon. 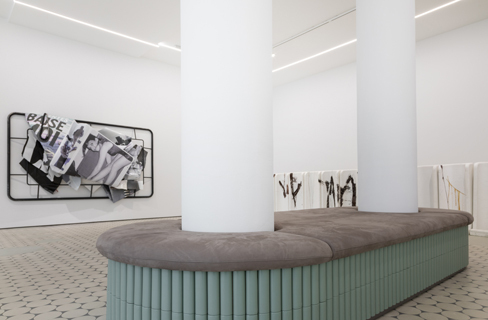 Iconic is his bench made of Soap tiles in the center of the main space, which is located around two existing columns. 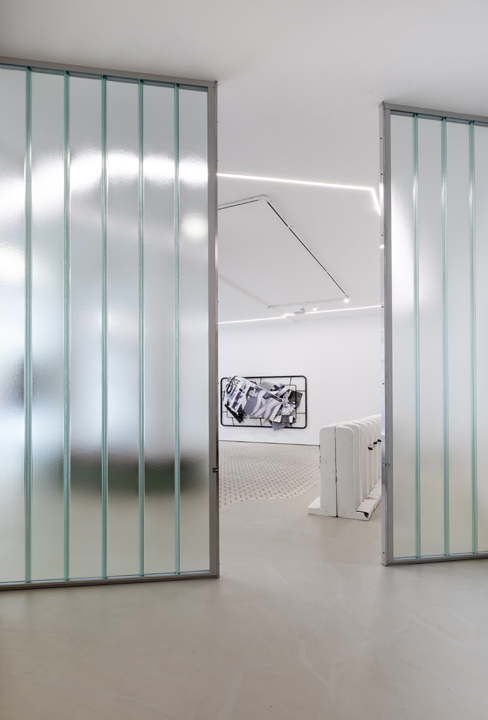 A special glass screen devides the gallery space from the office and the salon at its back.